Note: part of this post-mortem was originally posted as a devlog, here. 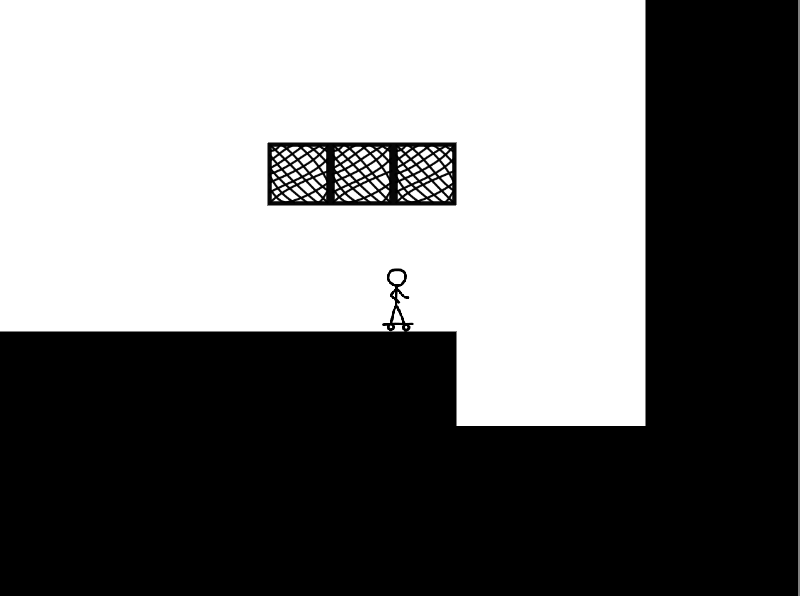 Skateboard was my entry to the xkcd Game Jam. It was my first experience in two fronts: making a real-time online game and creating procedurally generated scenarios. The jam ran from 3 days. I couldn't participate for the first half of the first day, and I worked for a full extra day after the jam, so the game was developed in roughly 3.5 days. That was a quite short time window for making an online game, and the in-jam time was insufficient for finishing something I could be happy with. However, the extra day of work allowed me to leave the game in a state that I consider to be good and fun. The theme was the xkcd universe (webcomic, books...), and games had to be somehow based on it. My game was based on the Hoverboard (1608) comic. It's a giant world you can explore to collect coins. The mechanic is quite simple, but the fun comes from discovering the elements that compose the whole scenario. I wanted to make something huge, and I knew that I would probably need to go procedural. However, I also knew that playing alone in a giant scenario with little to do wouldn't be too much fun, so I decided to make it multiplayer to try to achieve some emergent gameplay. Create a gargantuan, procedural level with simple art. I initially wanted it to have 3 components: a never-ending surface (floor), an endless sky with floating platforms and an infinitely deep system of underground caves. Implement a simple single-player and multiplayer mechanics. I wanted people to try to go FAR AWAY, so at first I thought on giving points for simply going as far as possible. However, then I thought how could would it be not only to explore, but also to search stuff. I connected the idea with the concept of Geocaching (which I also met for the first time thanks to xkcd) and decided that players should hide their own stuff and try to find the stuff of others. Zoom out. That's just a small bit of the whole scenario. Because of the limited time, I had to abandon the idea of the underground tunnels, sadly. After having the scenario, I began to work in the online component. It was hard, as I had to create a back-end for it. I tried to keep it as simple as possible, because of the time constraints and because I'm not sure if the hosting I use (which is mainly aimed at hosting websites), won't have problem with the increased traffic of that a game generates. The last night of the jam, I pulled an all-nighter so I could deliver something playable. The result was fine, but I wasn't happy with it. The player could explore the world, see other players (both online and offline ones), use a checkpoint flag to be able to instantly return with it at any time and leave and pick geocaches. However, the geocaches were kind of boring, as players couldn't see those of others, so there weren't real mechanics or dynamics other than exploring the endless place. Also, there was no way of saving progress. Because of that, and in order to implement some changes based on feedback I received about the game, I allocated one full, intense day of extra work (another all-nighter included). This allowed me to implement a lot of improvements, such as being able to see and steal other players' geocaches, a compass for finding other peoples' geocaches, loading saved progress, a console for viewing messages from the server and a main menu. 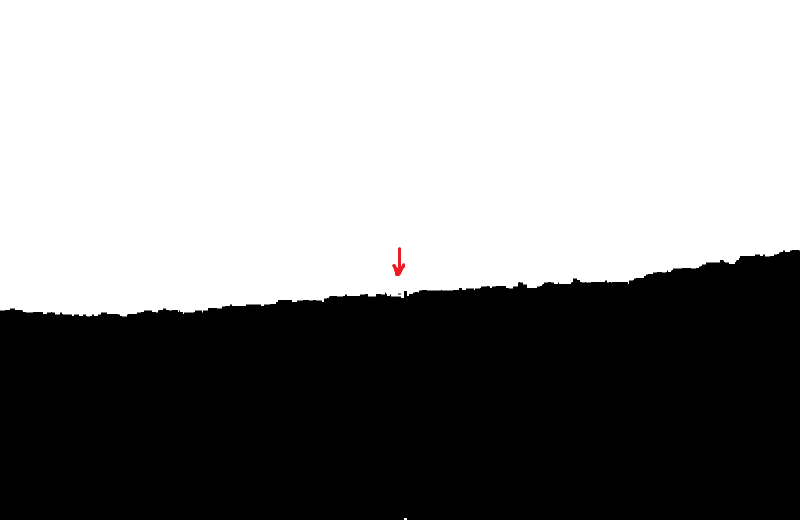 I also modified the scenario so more long platforms appear near the ground, to allow players to climb more easily; the more you climb, the less long platforms appear. I also implemented a small external website for keeping the leaderboard of the game. I'm really happy with the final result. I think that if several people played the game as it is right now, it would be quite fun. Of course, there's still a lot of room for improvements, but for 3.5 days of work, it's not bad.